The Borno State Government on Friday announced the death of Alhaji Shettima Ali-Monguno a former Minister of Mines, Power and Petroleum. “It is with a deep sense of loss and profound sadness that we announce, on behalf of His Excellency the Executive Governor of Borno State and the Borno State Government, the passage of our father and distinguished Statesman, Alhaji (Dr.) Shettima Ali Monguno. He said the deceased would be buried on Saturday in Maiduguri after a funeral prayer at 2 p.m. at his residence. Shuwa prayed for the repose of the soul of the deceased and his family and entire people of Borno the fortitude to bear the loss. He attended Monguno primary school, Teacher’s College Bauchi and Katsina, College of Arts, Science and Technology Zaria, Moray House college of Education and the University of Edinburgh. He served as a parliamentarian in the First Republic and was appointed the Minister of Air Force and Internal Affairs between 1965 and 1966. He was a Federal Commissioner for Trade and Industries between 1966 and 1971 and Minister for Mines and Power, Petroleum and Energy between 1972 to 1975. 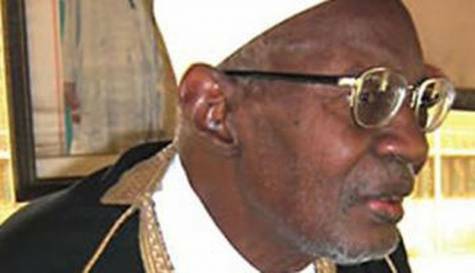 Monguno also served as President of OPEC fron 1972 to 1973.